Cutting the cord by canceling your cable has a lot of benefits 4 Real Benefits of Cutting Your Cable Cord 4 Real Benefits of Cutting Your Cable Cord In the end, I decided to cut the cable. Abstaining from cable television has a number of advantages. 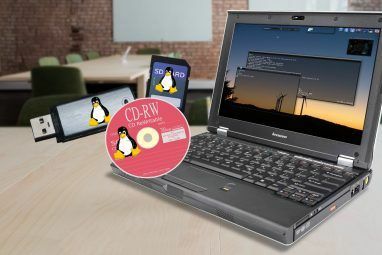 Read More : it can save you money, give you access to more quality programming, and expose you to considerably fewer ads. However, it isn’t without its disadvantages. One of the biggest is the loss of the “lean back” viewing experience. There are times when you just want to stick something on the television and watch it passively. Cord-cutting is all about endless menus, buffering videos, and broken streams, right? Well, it doesn’t have to be. As the popularity of cutting the cord Everyone Else Is Cutting the Cord, So Why Aren't You? Everyone Else Is Cutting the Cord, So Why Aren't You? I cut the cord back in 2013 and more and more people are following suit, completely ditching their cable service. But not everyone is cutting the cord, and we decided to find out why... Read More continues to grow, so too do the number of apps and channels that offer a more “traditional” TV experience. In this article, we’re going to introduce you to eight streaming apps that do all the hard work for you, allowing you to just sit back and relax while some televisual content washes over you. Before looking at specific apps, make sure you check out Sling TV, PlayStation Vue, and DirecTV Now. 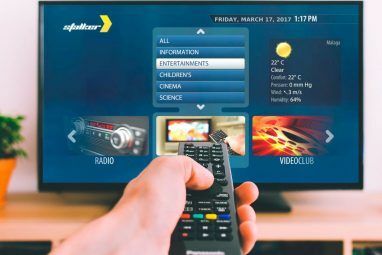 They all offer a variety of mainstream TV channels Cut the Cord Forever With These 15 TV Streaming Channels Cut the Cord Forever With These 15 TV Streaming Channels Cable TV is in decline, as the internet provides cheap, on-demand entertainment. Here are 15 of the best TV streaming services to help you cut the cord. Read More for a monthly fee. Unfortunately they don’t come cheap. The lowest package on any of the services will still set you back around $20 per month. But they do provide a way to access traditional TV for a fraction of the cost of cable. Also, remember that you can access lots of your local over-the-air channels for free simply by using a good aerial. It might not be the most stimulating content, but it will still give you some easy-to-watch alternative viewing should you want it. Available on: Amazon Fire TV, Android TV, Apple TV, Chromecast, Roku, various smart TVs. Pluto TV is trying hard to recreate the full cable experience through a single app on your streaming device. Channel surfers will love it; the app has a visual TV guide which looks and works exactly like the one your cable operator uses. The app has 75 channels available. These are split into 10 categories: News, Sports, Comedy, Geek and Gaming, Chill Out, Entertainment, Life and Style, Curiosity, Movies, and Music and Radio. Some of the channels are exclusive, but you can also find well-known brands such as Bloomberg TV, NASA TV, and The Weather Channel. Unfortunately for our non-American readers, it’s only available in the mainland United States at the time of writing. Available on: Web app, iOS, Android. Unlike the other apps in this list, Yidio does not install on your streaming device What's the Best Media Streaming Device? What's the Best Media Streaming Device? Looking for the best streaming device? We've covered four different kinds of streaming devices: Budget, mid-range, high-end, and DIY. Read More . You can either use an HDMI cable to stream the web app or install it on your smartphone and cast the screen straight to your television. Yidio’s content can be divided into two categories. It has videos pulled from the leading video-on-demand providers that requires a subscription to watch, and it has free self-hosted video. Where it excels is with its personalized profiles. The app tracks your favorite shows, creates a custom TV schedule, and lets your watch them all in one continuous showing, just like a television channel. Available on: Apple TV, Amazon Fire TV, Chromecast. Music videos are ideal for playing in the background but can be frustrating due to their three-minute length. Of course, you could make a playlist How to Make Mega-Playlists Between Music Streaming Services How to Make Mega-Playlists Between Music Streaming Services Ever wanted to let friends contribute to the playlist but felt restricted by different streamlining services? This new app is the answer to that problem and keeps the party going. Read More on YouTube, but it would quickly get repetitive. A better option is to use Vevo. If you create an account and select some of your favorite bands, the app will give you a new customized video playlist every time you open it. Vevo is available on most streaming devices, but the customized playlists feature is only available on the three platforms listed above. Mobdro has a similar concept to Pluto TV. It’s not as slick to use, but it accesses a lot of the same content. It works by scouring the web for free video streams. It then adds the streams to your Android app and lets your play them in one continuous session. If you want to watch the content on your TV, you’ll need to cough up for the Premium version. It’s still in beta but should be available to the public in the coming months. For now, you’ll need to buy a dongle to physically connect your Android device to your TV. Available on: Apple TV, Roku, Xbox, iOS, Android, various smart TVs. No list of this nature would be complete without FilmOn. It boasts 600 live channels (including lots of the most popular British channels) and 90,000 video-on-demand titles. If you’re a premium subscriber, you’ll also get a cloud-based DVR, access to Hollywood movies, and some network TV shows. Roku users have always been able to get an unofficial version of the app through Plex 20 Unofficial Plex Channels You Should Install Right Now 20 Unofficial Plex Channels You Should Install Right Now With the Unsupported AppStore, you can unlock new Plex content to watch. Here are the best unofficial Plex channels to install. Read More , but since the mid-2016, they can download the official app from the Roku Channel Store from anywhere in the world. It’s also available on Apple TV. A word of warning: the channels go blank when they are screening live sports events. For example, the BBC channels were offline for two weeks this summer during the 2016 Rio Olympics. Available on: Apple TV, Roku, Amazon Fire TV, Chromecast, Android, iOS. Are you a soccer fan? If so, this is probably the best app on the whole list. The app uses footage from beIN Sports, Univision Deportes, UniMás, and GolTV HD. For $9.99 per month, it means you’ll have access to La Liga, Serie A, MLS, Liga MX, Ligue 1, the Portuguese Primeira Liga, and the Brazilian Serie A. It’ll also have occasional access to big games from other leagues. And it’s not just live games. You’ll also find plenty of other content, including series, documentaries, news, and exclusive club footage. Once again, it’s only available in the United States and Canada. Available on: Roku, Amazon Fire TV, Chromecast. Channel PEAR is a collaborative, cloud-based app that will let you access most of your favorite TV channels. Once you’ve created an account, the app will ask you to choose your media sources. Free users can only add five, but if you pay $2.99 per month for a premium account, you can have as many as you want. You’ll be able to find all the popular American networks, including CBS, AMC, ABC, and NBC. Available on: Roku, Amazon Fire TV, Apple TV, Android, iOS. In a world when on-demand services are becoming more prevalent, Livestream goes in a different direction by offering you video streams of live events around the world. These aren’t boring streams being broadcast from geeks’ bedroom. Luminaries such as the BBC, the New York Times, TED, and Spotify all use the service to broadcast their content. Video content is split into 10 sections: Animals, Arts and Entertainment, Business, Lifestyle, Music, News, Politics and Society, Science and Technology, Spiritual, and Sports. Some of the videos will stream around the clock (such as local news) while some only broadcast for a defined period while an event is live (like a sporting event). What Streaming Apps Do You Use? In this article we have given you eight diverse apps that’ll help you watch television 24/7 without ever needing to touch a remote control. By making use of these apps, guests in your house may not even realize you have cut the cord. 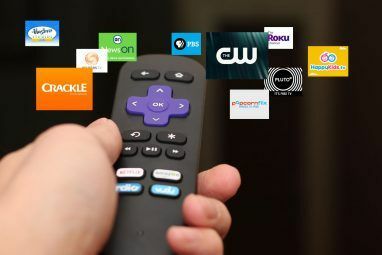 If you want a central dashboard to control all your media subscriptions consider these essential mobile apps for cord cutting 6 Essential Apps for Cord-Cutters on Android and iOS 6 Essential Apps for Cord-Cutters on Android and iOS These are the essential apps for cord-cutters. Which, once installed, will help you get the most out of your streaming subscriptions. Read More . And if it’s just movies you’re after, we’ve compiled the best free movie streaming sites The Best Free Movie Streaming Websites The Best Free Movie Streaming Websites If you want to watch movies legally and for free, you have lots of options online. Here are the best free movie streaming sites... Read More for you. Explore more about: Apple TV, Chromecast, Media Streaming, Roku, Television. I watch crackle. Original seriees. TV classic series including sienfeld, All in The Family. Completely free with commercials. There is no paid subscription option. Also enjoy topdocumentaryfilms.com. Again, free,commercials, no paid subscription option. I've been watching a lot of Tubi TV lately. I particularly like their selection of BBC programs. Question, I pay for 40 gb with AT&T and use all 40. If I go with one of these services will I need to buy more gb'S or does the service not use up my gb's? Surprised to see Sling missing from this list. It's been fantastic in 'cutting the cord' in our family. That's probably because all the services listed are free Internet streams, whereas Sling is a cable bundle without the cable box. Personally, I have the new similar service DirecTV NOW and think it's great. But it is not free like the services listed in t ehe article.